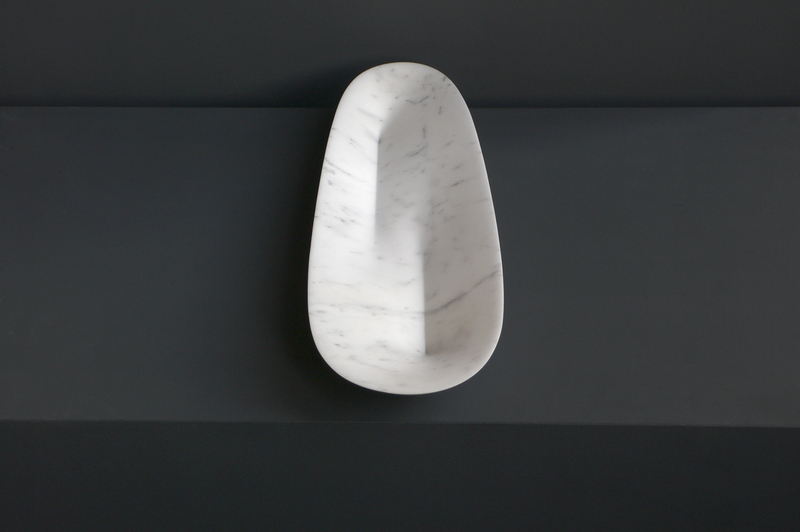 This sculpture is an extremely fine shell of marble balancing on two points no bigger than your fingertips. 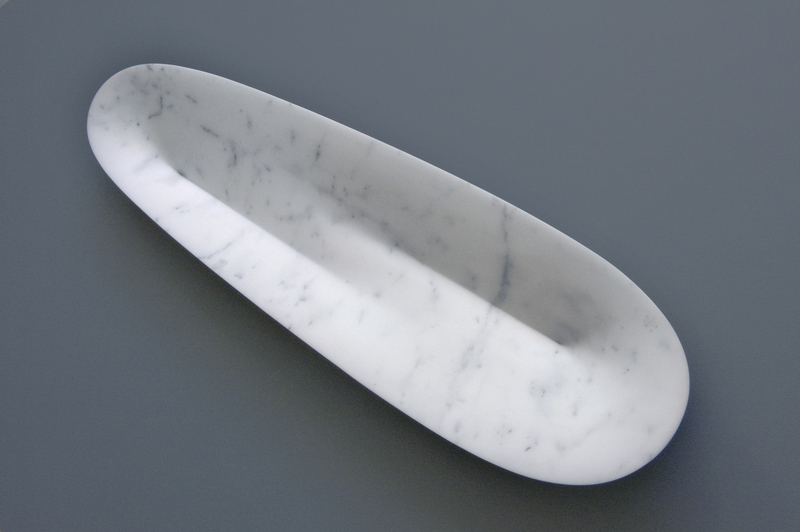 It is as thin as 2 millimeters in cross-section at some points, making the marble almost transparent. The two lines that determine the shape are going in opposite directions, only meeting in for brief instant to create this shape. As the work is constantly in danger of breaking, it asks questions about the precarious nature of our human experience and the short-lived moments of beauty that it consists of.